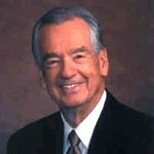 Zig Ziglar is an author and speaker who delivers powerful life improvement messages. Since 1970, he has traveled over five million miles across the world, cultivating the energy of change. Zig is the author of 23 books, including the bestseller Over the Top. He has written on such topics as personal growth, leadership, sales, faith, family, and success. Zig has shared the speaking platform with United States presidents, military generals, members of Congress, governors, and other prestigious people. He has been recognized three times in the Congressional Record of the United States for his work with youth in the drug war and for his dedication to America and the free enterprise system. His corporation, Ziglar Training Systems, offers public seminars, customized educational programs, workshops, and keynote speakers—all focused on personal and professional development. Zig has a client list that includes thousands of small and mid-sized businesses, like Fortune 500 companies, U.S. government agencies, churches, schools, and nonprofit associations. The corporation has had a profound effect on the lives of many people. Zig Ziglar’s autobiography, Zig, was published in July 2002. In addition to the line of printed books, audio cassettes, and video tapes, Ziglar Training Systems offers the opportunity of attending workshops and seminars. To view Zig’s updated schedule and to receive his free weekly e-zine, visit www.zigziglar.com. • You can have everything in life you want if you will just help enough other people get what they want. • It’s your attitude, not your aptitude, that determines your altitude. • You cannot climb the ladder of success dressed in the costume of failure. • You don’t pay the price for success. You enjoy the price for success. • If you go looking for a friend, you’re going to find they’re very scarce. If you go out to be a friend, you’ll find them everywhere. • People often say that motivation doesn’t last. Well, neither does bathing—that’s why we recommend it daily. • What you get by achieving your goals is not as important as what you become by achieving your goals. • You cannot make it as a wandering generality. You must become a meaningful specific. • I believe that persistent effort, supported by a character-based foundation, will enable you to get more of the things money will buy and all of the things money won’t buy. Zig Ziglar’s career in the Self Improvement Industry has spanned over 35 years, and he is clearly one of its leaders. For me, his philosophy can be summed up with the quote, “You can have everything in life you want if you will just help enough other people get what they want. ” It is a belief that many people have incorporated into their lives. To get a good sense of who Zig Ziglar is, I would suggest starting with one of his audio tape programs. One of the tapes that personally inspired me is his Goals tape. Zig’s preacher style is ideal for anyone looking for true inspiration. He incorporates old fashioned good sense with strong Christian ethics. One of Zig’s strengths is in the sales arena. If you are a salesperson or need to sell internally to promote your business, his new book, Selling 101, is the best place to start. I would also recommend See You at the Top, an inspiring book with a straight forward approach to success. It has sold two million copies since 1975.